Dry-aged beef has been the go-to on steak house and restaurant menus for years. And there’s a darn good reason why. The melt-in-your-mouth texture, the flavour profiles, the tenderness, the deep shades of red you see when cooked to perfection – it’s a no-brainer for beef lovers who expect an experience when they cut into their steak. Dry ageing beef went out of vogue in the 1960s when the process of wet-ageing meat meant it could be done cheaper and faster. Dry-aging can take 4-6 weeks and needs special ageing lockers. It also causes product loss due to the trimming required and evaporation that takes place. Wet-aging is faster and requires less equipment. Because of this, wet-aged beef is cheaper to buy and is more common. But dry ageing is well and truly worth it. Enzymes break down the fat within the meat and is worth it for the flavour profiles alone. And more and more beef fans are giving it a crack at home. So what do you need to do to make it work? It’s not as easy as simply leaving your steaks in the fridge wrapped in cheesecloth for a week, and some dedicated equipment is required. Using a dedicated refrigerator is the best way to ensure a good result. Sharing the fridge with other foods means your beef may pick up those flavours, and the differing moisture levels in the air mean less control of the dry-ageing process. 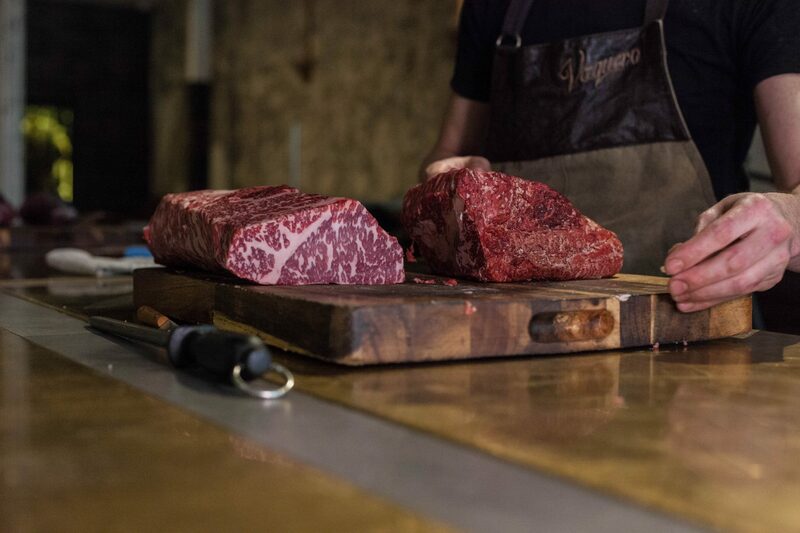 What cuts should you use to dry age beef? 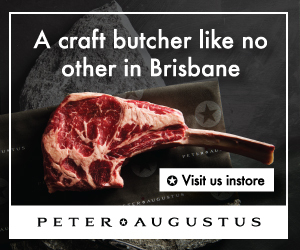 You can’t dry-age individual steaks – you’ll be left disappointed when you have to trim them down to half-centimetre cuts and are left with a thin, well-done piece of beef charred on the grill. You need to choose high-quality large cuts of beef, so rib roasts with the bones still in or whole rump caps, for example, are ideal. You also want a piece of beef with the thick fat cap still in place, which helps when you trim your aged piece of beef. Set up your fridge at a temperature of 1 to 3 degrees celsius (34 to 38 fahrenheit). Using a dedicated, high-quality digital thermometer is recommended, rather than trusting any on-board temperature gauge from the fridge itself. Set up the small fan in the fridge to maintain air flow. Put the wire rack on top of your tray (this will catch any drips from the beef), and make sure the rack is elevated. This ensures airflow can reach the whole surface area of your beef. Make sure the beef has been patted dry, place it on top of the rack and put into the refrigerator. Now the waiting game begins. Checking on your beef is fine but remember the more you open your refrigerator the more you are altering the environment and inviting external flavours in, so play it cool. How long does it take to dry age beef? So you’ve very patiently dry aged your beef, you’ve watched it develop that hardened crust on the outside and the colour is now a deep red, verging on purple or brown. There could even be a bit of mould. Now it’s time to get it ready to cook. You need to trim away this crust to get to the good stuff inside. Also trim away any fat on the outside. Cut your beef into individual steaks to your desired thickness and grill to your taste (medium rare, of course). Dry ageing beef using professional equipment will deliver a different result to your home setup, so don’t expect your efforts to match that of your favourite steak house or butcher just yet. Also be wary of meat spoilage. If you think your efforts have failed and the meat spoiled instead of aged, don’t push it further.